Welcome to our second edition of “Marlin Spring’s Colour of The Month”! We hope you enjoyed our previous edition on Nile Green (which you can find here). This month we’re looking at Pantone’s provocative and thoughtful colour of the year, Ultra Violet (Pantone 18-3838). This deep purple has a wonderfully mindful quality about it; easily capturing people’s attention and holding it. Read further to learn more about why Marlin Spring has chosen Ultra Violet for Colour of the Month. This bold, purple hue brings forth a sense of creativity and harmony, both standing out as well as blending in within a space. The deep-blue hints in the colour give the hue a wonderful cooling aspect that regular violet shades do not have. Despite this muted energy, Ultra Violet is still a stimulating colour that spurs people to push boundaries through creative outlets; making it a great choice if you want to shake things up in your space. One of our favourite things about Ultra Violet is its versatility. The duality of the colour really helps Ultra Violet hold its own with a wide range of colours. It can act as a dark compliment for bright colours, a cool partner for hot hues, and a strong support for pastels. This colour is sure to send shockwaves through households who have become accustomed to neutral colour codes. Ultra Violet, when properly used, can be a big part of your decor. The wonderful thing about this hue is that it works really well with many different colours. If you want to stray away from neutral colours, pair it with lavenders, dusty pinks, or mints. Or, contrast the warmth of the deep purple against stark white, gray, khaki, or olive colours. 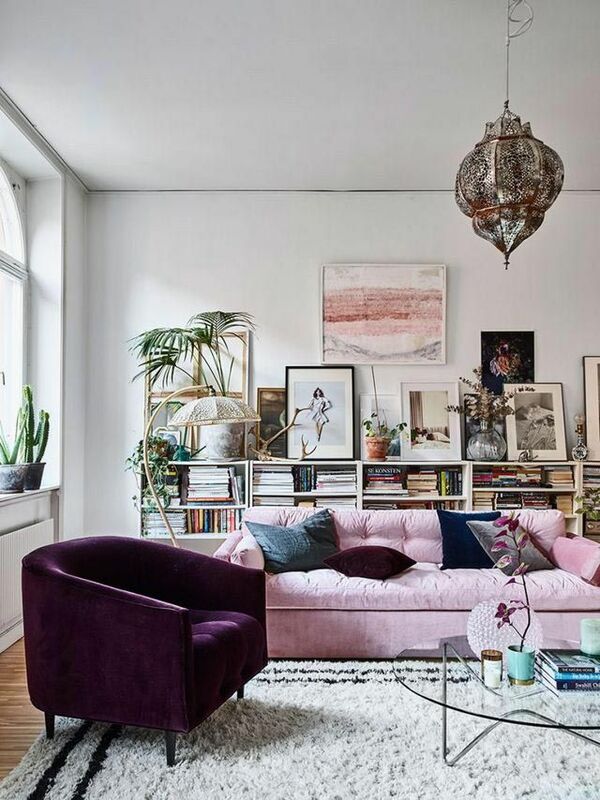 If you find that the purple in your space is overwhelming, tone down the intensity with metallic decorations that balance the ‘heat’ of the purple. If you’re looking to make a real statement with your space, we highly recommend the confident and unconventional Ultra Violet. We hope you take the opportunity to go against the norm with some new purple accents! Stay tuned for more decor tips and tricks like these in Marlin Spring’s blog series.